Fail to plan. Plan to fail! Except we didn’t. Fail that is. The complete opposite in fact! 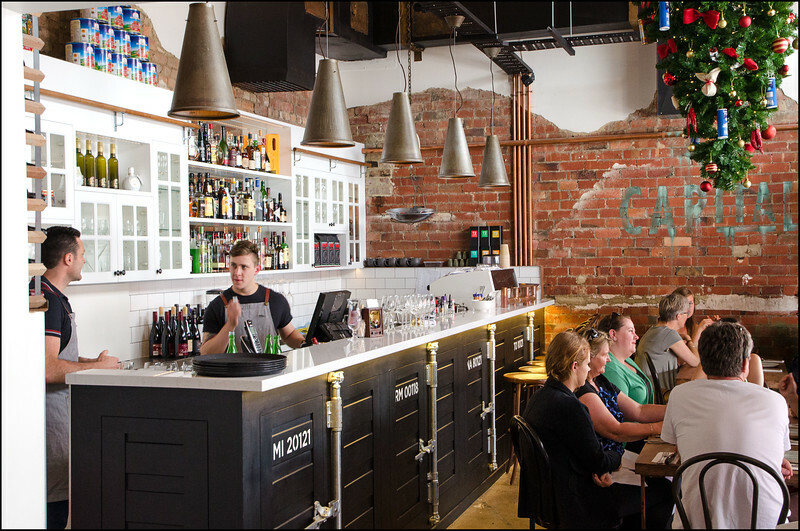 A lunch at Hobart’s newest Italian restaurant, Capital, was not on the agenda, but with unexpected Christmas closures to both Chulo and Crumb Street Kitchen we thought we’d go for a wander through North Hobart and see what we could see. To be honest, Berta was on our minds, but one look at the Capital menu was enough to convince us to try something fresh and new! As you can see from the menu posted up on their Facebook page here, the antipasti selection is fantastic. 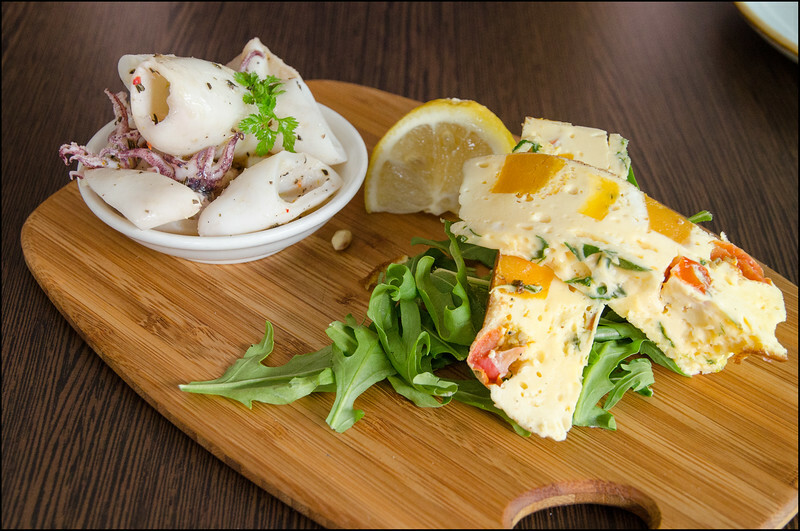 Needing to save room for a pizza, we decided to limit ourselves to a couple of dishes; a pumpkin, goat’s cheese, cherry tomato and baby spinach frittata ($8.5) and the marinated baby calamari with chilli, lemon, garlic and parsley ($9.5). Both were an absolute pleasure, but the frittata was the standout. Clouds of eggy, tomatoey bliss…it was the lightest and most incredible frittata I think I’ve ever eaten! After a massive night out, we both had a craving for that miracle food known colloquially as…pizza!! 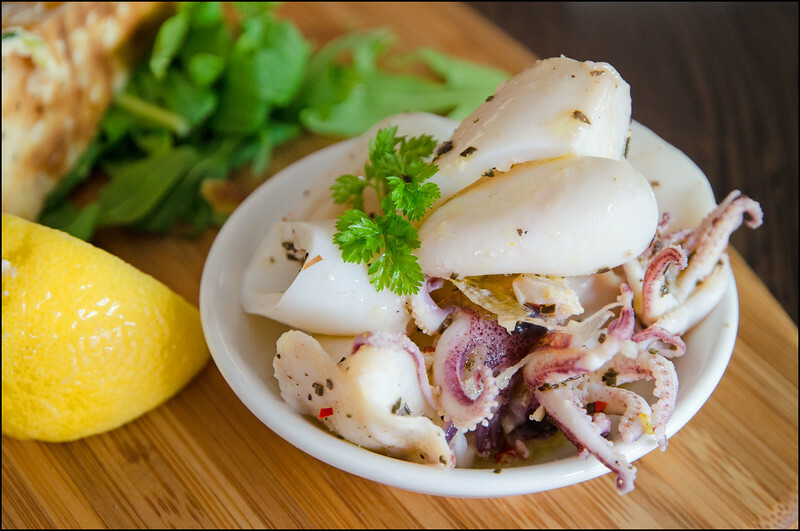 Capital offer a great variety, segregating them by the sauce used for the base; red or white. This was authentic pizza at its best! 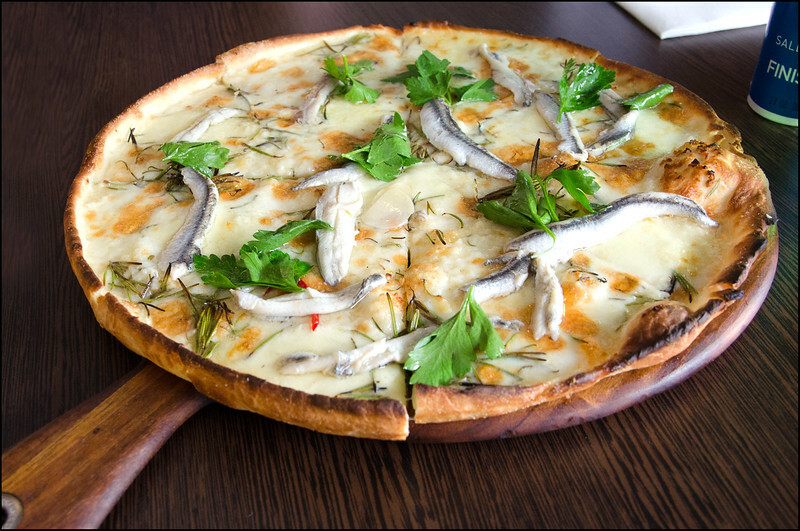 Thin cheese understory, quality anchovies (not overly salty), judicious use of herbs and a crusty base. As much as I love a pizza from Da Angelos, they’ve deviated from the simplicity of tradition. Fantastic flavours, but as is so often the case when it comes to food, less is more. It’s why Anton’s pizzas out at Richmond are so incredible, and it’s why we couldn’t wipe the smiles from our faces at Capital. Simply sublime. 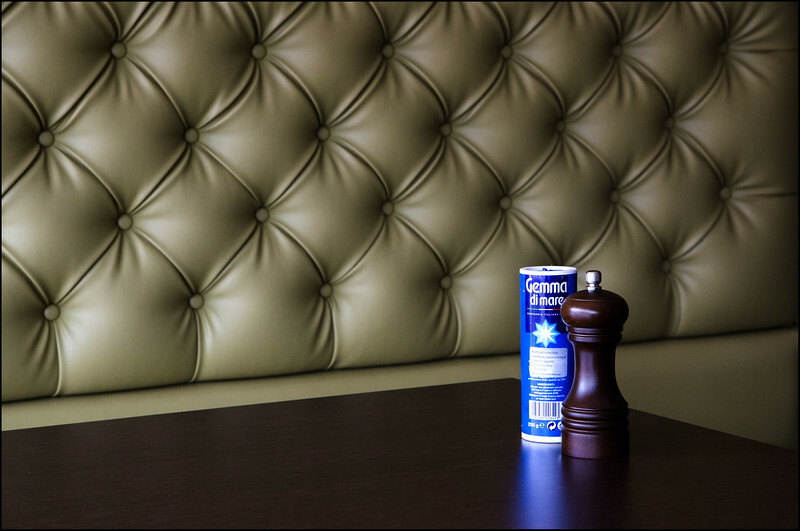 Capital are nothing like their forebear, Marti Zucco’s Restaurant. Where Marti revelled in the dark, chequered tablecloth pasta house vibe of 80s Italiano, the lads behind Burger Haus (just around the corner) have totally transformed the site into a modern, yet inviting restaurant with equal appeal to both romantics and families alike. I’ve never really understood why Hobart’s broad population of Italian restaurants has never appealed to me, but after such an authentic and carefully crafted meal I now realise what’s been missing. 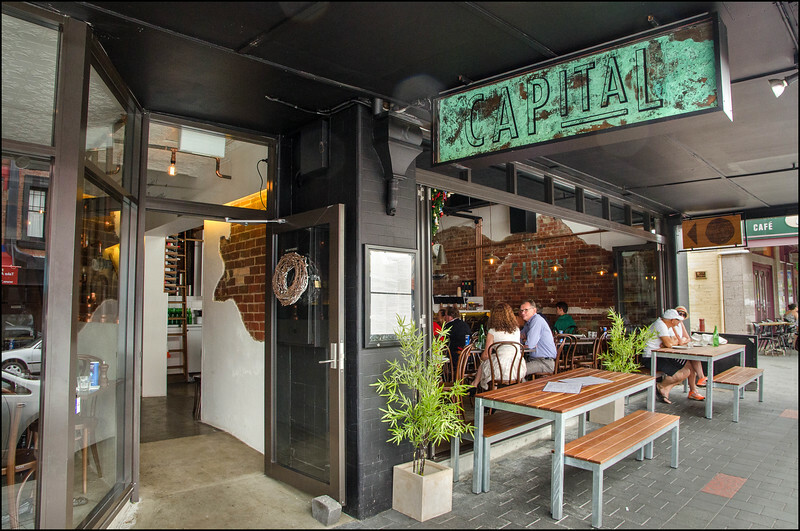 Maldinis may be flashier, Don Camillo may have tradition, but the food at Capital has soul. Nothing like pizza after a night out, Andrew! Great post, as usual. So addictive and such a great venue. Thanks Jenna! A friend and I failed to plan on New Years Eve, but somehow managed to walk right in to Capital around 9pm and get a seat (I was expecting to get laughed at when I called to ask if they had any room)! Greatest and most delicious pasta dish I’ve ever had, and wonderful friendly service. Lucky buggers!! You’d never think you’d be in with a chance on New years Eve! Did you end up having a great night? Absolutely, I was very impressed! Also very thankful, haha! Definitely a new favourite.